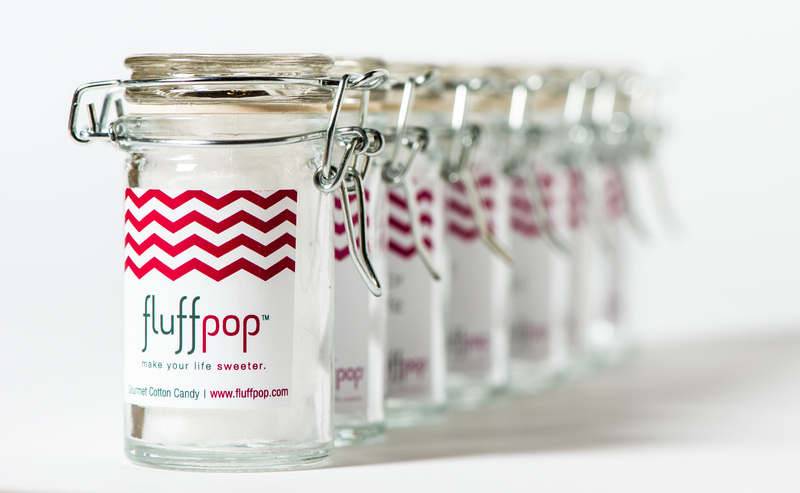 Fluffpop offers a creative, healthy twist on a classic childhood favorite… cotton candy! We are a gourmet cotton candy company that specialized in high-end events, catering, and sweet treats shipped nationally. Most Fluffpops are under 10 calories, are gluten-free, vegan, & fat-free. 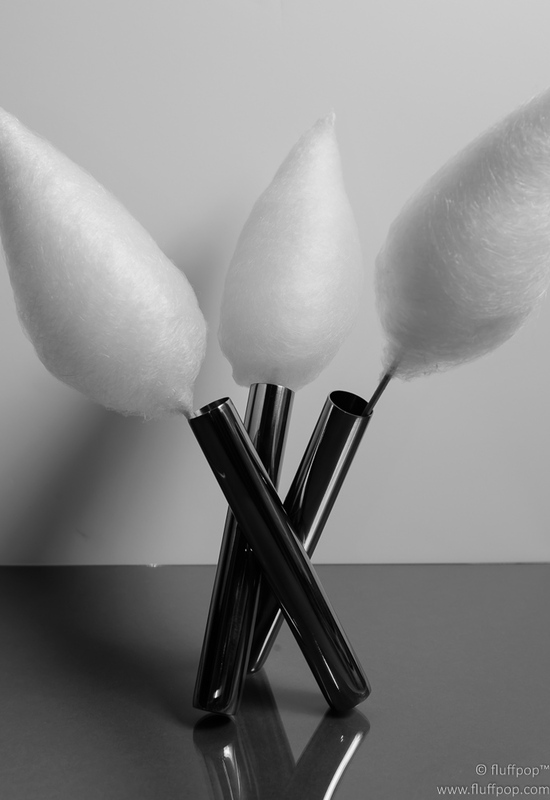 Unlike traditional cotton candy, Fluffpops aren’t sticky or messy. Many are made with organic ingredients and are free of chemicals and dyes, which explains their chic, white appearance. Our Fluffpop DJ's spin gourmet flavors on-site at events, creating super stylish, sweet experiences for guests. Fluffpop DJ's will spin sweet treats as passed hors'devours, inside a signature cocktail, or even on a glow stick! Contact a Fluffpop Event Specialist to book some Fluffpop DJ's at your next event! Packed with one of our gourmet flavors, ‘The Mini Mason’ offers a Fluffpop which can be shipped worldwide as a gift, or customized for your event. ’The Mini Mason’ Fluffpop starts at $4.00 each. Since many of our orders are customized & personalized for each client,all orders must be placed 14 days in advance. To order (by the dozen or half dozen), go to www.TheMiniMason.com. All Fluffpops should be enjoyed within 24 hours from delivery to ensure optimal freshness.